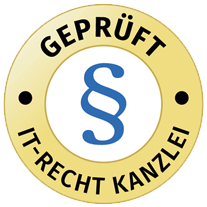 1.2 Responsible for the data processing on this website within the meaning of the General Data Protection Regulation (DSGVO) is PEMO e.K, Münchner Str. 37a, 84359 Simbach am Inn, Germany, Tel . : +49 8571/9250750, email: info@ pemo-tools.com. The person responsible for the processing of personal data is the natural or legal person who, alone or in concert with others, decides on the purposes and means of processing personal data. When contacting us (for example via contact form or email), personal data is collected. Which data are collected in the case of a contact form can be seen from the respective contact form. These data are stored and used solely for the purpose of answering your request or for establishing contact and the associated technical administration. The legal basis for processing the data is our legitimate interest in answering your request in accordance with Art. 6 para. 1 lit. f DSGVO. If your contact is aimed at concluding a contract, then additional legal basis for the processing is Art. 6 para. 1 lit. b DSGVO. Your data will be deleted after final processing of your request, this is the case if it can be inferred from the circumstances that the matter in question is finally clarified and provided that no statutory storage requirements are in conflict. 6.1 The personal data collected by us shall be passed on to the transport company commissioned with the delivery within the scope of the contract, insofar as this is necessary for the delivery of the goods. We will pass on your payment details to the commissioned bank as part of the processing of payments, if this is necessary for the processing of payments. If payment service providers are used, we will inform you explicitly below. The legal basis for the transfer of the data is Art. 6 para. 1 lit. b DSGVO. If the delivery of the goods by the transport service DPD (DPD Germany GmbH, Wailandtstraße 1, 63741 Aschaffenburg), we give your e-mail address and your telephone number before delivery of the goods in accordance with Art. 6 para. 1 lit. a DSGVO for the purpose of coordinating a delivery date or delivery notice to DPD, if you have given your explicit consent in the ordering process. Otherwise, we will provide for the purpose of service in accordance with Art. 6 para. 1 lit. b DSGVO only the name of the recipient and the delivery address to DPD. Passing on is only to the extent necessary for the delivery of goods. In this case, it is not possible to agree the delivery date with DPD beforehand or the delivery announcement. The consent can be withdrawn at any time with effect for the future against the person named above or against the transport service provider DPD. This website uses Google Analytics, a web analytics service of Google LLC, 1600 Amphitheater Parkway, Mountain View, CA 94043, USA (“Google”). Google Analytics uses so-called “cookies”, text files that are stored on your computer and that allow an analysis of the use of the website by you. The information generated by the cookie about your use of this website (including the shortened IP address) is usually transmitted to a Google server in the USA and stored there. This website uses Google Analytics exclusively with the extension “_anonymizeIp ()”, which ensures anonymization of the IP address by curtailment and excludes a direct personal reference. The extension will truncate your IP address beforehand by Google within member states of the European Union or in other contracting states of the Agreement on the European Economic Area. Only in exceptional cases will the full IP address be sent to a Google server in the US and shortened there. In these exceptional cases, this processing is carried out in accordance with Art. 6 para. 1 lit. f DSGVO based on our legitimate interest in the statistical analysis of user behavior for optimization and marketing purposes. Right to be informed in accordance with Art. 19 GDPR: If you have the right to rectify, delete or limit the processing to the person responsible, he / she is obligated to rectify or delete the data or all recipients to whom the personal data relating to you have been disclosed Notify of limitation of the processing, unless this proves to be impossible or involves a disproportionate effort. You have the right to be informed about these recipients. IF, IN THE CONTEXT OF INTEREST ACCOUNTABILITY, WE PROCESS OUR PERSONAL DATA BASED ON OUR PRESENT AUTHENTIC INTERESTS, THEY HAVE ANY RIGHT TO SET UP, FOR REASONS ARISING OUT OF ITS SPECIAL SITUATION, AGAINST SUCH PROCESSING, CONTRARY TO THE FUTURE. MAKE USE OF YOUR OPPOSITION RIGHT, WE FINISH THE PROCESSING OF THE DATA CONCERNED. FURTHER PROCESSING REMAINS SUBJECT TO EXERCISE WHEN WE MAY PROVIDE IMPERATIVE REASONABLE REASONS FOR PROCESSING WHICH EXCEED ITS INTERESTS, FUNDAMENTAL RIGHTS AND FUNDAMENTAL FREEDOMS, OR IF THE PROCESSING SERVES THE PRESENTATION, EXERCISE OR DEFENSE OF LEGAL CHARGES. F YOUR PERSONAL DATA IS PROCESSED BY US TO OPERATE DIRECT ADVERTISING, YOU HAVE THE RIGHT TO INTRODUCE ANY CONTESTING AGAINST THE PROCESSING OF YOU OF PERSONAL DATA FOR THE PURPOSE OF SUCH ADVERTISING. YOU MAY EXERCISE THE OPPOSITE AS DESCRIBED ABOVE.